Specialist furniture manufacturer, Knightsbridge, has been selected as a furniture supplier for the ProCure21+ National Framework repeatable bedroom project, which is used by the NHS to reduce the cost of construction through standardisation whilst maintaining a consistent quality. The framework, known as ProCure21+ National Framework, is an agreement between six Principal Supply Chain Partners (PSCPs), along with their supply chains. ProCure21+ has been compiled by the Official Journal of the European Union (OJEU) and is available for any NHS client or joint-venture to use for a capital construction scheme without having to go through the OJEU process themselves. Knightsbridge has an extensive range of specialist furniture to fit any environment from health and care to mental health and dementia. 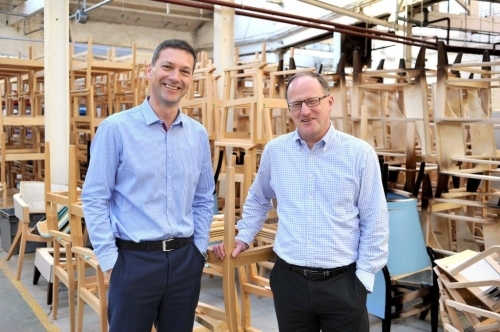 The Yorkshire-based manufacturer, which designs and manufactures all products, will provide all alternative extreme fitted bedroom furniture for the ProCure21+ National Framework.